With Thanksgiving just a few days away, the holiday season is officially upon us. For better and for worse, most of us will be eating and drinking far more than our normal share over the next 6 weeks. If you’re reading this, you’re likely looking to go about your dining and wine-ing in a way that allows you to feel good both during and after the festivities. I share that feeling, and I’m so glad you’re here. In order to help you (or your loved ones) navigate the holidays as a vegetarian or vegan, I’ve put together a holiday wine guide that explains fundamental wine pairing principles, explores vegan and vegetarian wine options, and provides tips on finding the right bottle of wine for you meal or special day. Cheers! In congruent wine pairings, there’s a strong overlap of flavors between the food and wine which intensifies the similarities. Imagine biting into a tart lemon square followed by a sip of a crisp, acidic Riesling. Congruent pairings turn up the volume on a shared taste and allow your taste buds to focus on and revel in that experience. In complementary pairings, the food and wine only share a few overlapping characteristics which makes this strategy all about contrast and balance. Imagine a creamy pasta dish paired with an acidic Sauvignon Blanc — the nuttiness of the sauce centers the acidity of the wine, and the acidity of the wine lifts the density of the sauce. This is a true “opposites attract” approach that helps prolong enthusiasm for the unique parts of a meal. Place-based pairings follow the belief that cuisines from a particular region play best with wines grown in similar climates. For example, if you are cooking a Moroccan chickpea dish, you could try a wine from Spain, Italy, or the southern coast of France. 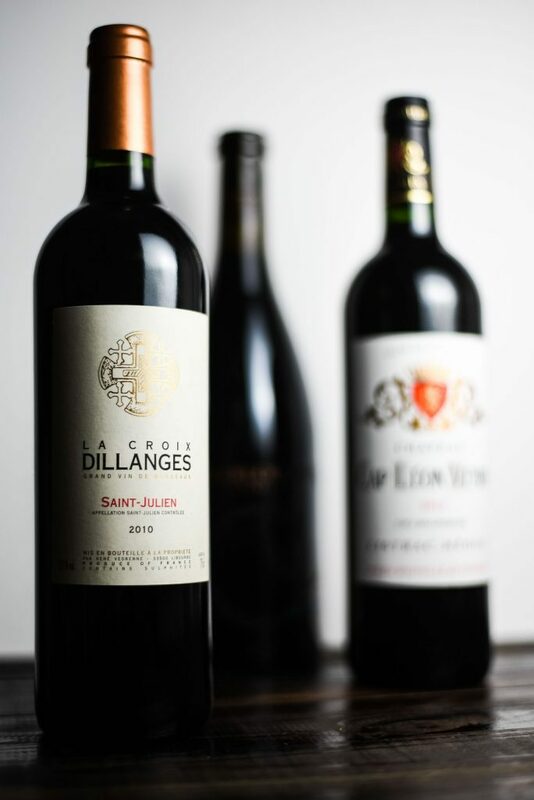 Although they’re not Morocco, these countries share a Mediterranean climate which tends to produce wines with characteristics that, in turn, couple nicely with the culinary flavors of that region. Finally, the last (and my favorite) rule of wine pairing is simple: do what tastes good to you. If you enjoy the food and wine together, then it’s a good pairing. No wine snobbery allowed. Surprisingly simple answer here: no. The modern wine drinker typically wants their beverage to be clear and bright with no sediment. To meet that preference, winemakers often clarify wine before bottling. Unfortunately for vegans and vegetarians, the most common clarifying agents are animal-based products such as egg whites, fish bladder, and crustacean shells. In addition to the non-vegan elements of mass produced wine, there can also be other additives that are alarming, including pesticide use, chemical additives, and additional sugar. These elements help winemakers produce wine that is consistent in its taste, which is important for a consumer who expects their California Chardonnay to taste the same year after year, despite the different growing seasons, weather patterns, and aging vines. Grape growing is a fickle, season-dependent process so when the consumer expects this level of consistency across vintages with very different growing seasons, the winemaker responds with production tricks in order to make it happen. This results in shortcuts that can impede the taste and flavors of the wine. Unfortunately, mass produced, highly processed wine is often non-vegan and unnatural. This is an often upsetting and always inconvenient realization for many folks, but–fortunately–learning about a problem usually provides an opportunity to discover a solution, and this situation is no exception. To find vegan-friendly wines, check out the Barnivore, an online listing of vegan alcohol offerings or consult with your local wine shop for their recommendations. Moral of the story here – if drinking vegan or drinking clean wine is important to you, pay the extra money for an organically produced or vegan wine. You can taste the difference. Now that we’ve got the basics of wine pairing and vegan/vegetarian/organic wine down, let’s talk about holiday wine pairings. Which wines go with a variety of tastes, textures, flavors, and aromas at your holiday feast? Should you choose one wine for the duration of the meal or should you get several different wines to accent your appetizers, main dishes, and desserts? What if you have some white and some red wine drinkers? Thankfully, if you have a general idea of what you’re cooking or eating, you can find a pairing that matches a few common flavor profiles in many Thanksgiving and Christmas dishes. Start a meal with lighter wines to keep your palate fresh for the full meal. Beginning with a heavy wine (such as Cabernet Sauvignon) destroys the palate’s ability to detect the subtlety of lighter wines and food. Sparkling wine, crisp white wines, and dry rosés are a good options for appetizers. Spices call for more spices. Your wine can bring its own version of spice for a complementary pairing. Try an oaked Barbera, Amarone, or a GSM (Grenache-Syrah-Mourvèdre) blend. Try a savory red (French Northern Rhône Syrah) instead of a bold, jammy red (Australian Shiraz) to support the earthiness of your roasted dish. If you want to impress your guests with French wine chops, roll up with a Châteauneuf du Pape but expect to pay a hefty price for it. For a cheaper but similar flavor profile, try a red from Gigondas and Vacqueyras. Try a Beaujolais from the Gamay grape. They’re fruity and light enough to not overpower the bird (or tofu bird) but they’ve got a little more grip and tannin than white wines. And the most beautiful thing about Beaujolais? You can purchase the most prestigious levels without breaking the bank. There are 10 crus in Beaujolais and most are a steal for under $35 a bottle. If you’re new to wine, a cru in Beaujolais, France is one of the famous areas for this type of wine. 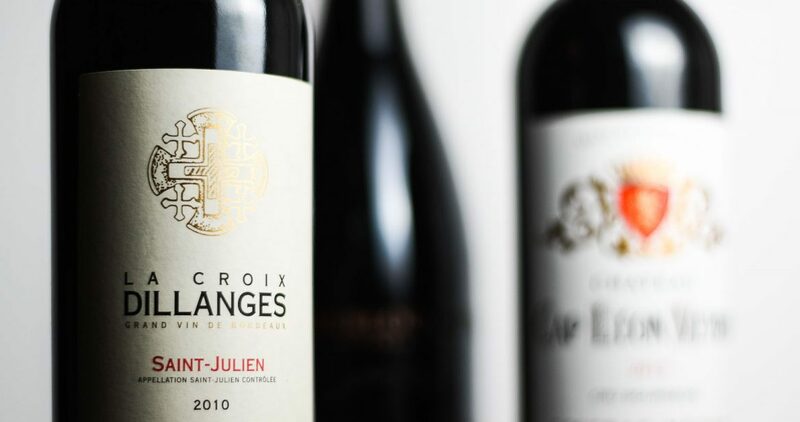 It is rare to be able to purchase cru wine from France for such a good price, which makes drinking premium Beaujolais a great experience on both the palate and the wallet. Repeat after me: the most important rule in pairing sweets with wine is making sure that your wine is sweeter than your dessert. Otherwise, you’re going to take one bite of your dessert and one sip of your wine and be shocked to find your previously lovely wine is now bitter and astringent. Don’t do it! If you’re looking for something really special, grab a bottle of Sauternes. Made in Bordeaux in France, this wine will burst with honey, ginger, pineapple, peach, butterscotch, and custard flavors. It’s dessert in a bottle and it has a price to match. For more budget friendly options, try a mid-range Gewürztraminer. Here’s a list of my favorite wine styles for the Thanksgiving and why I love them. 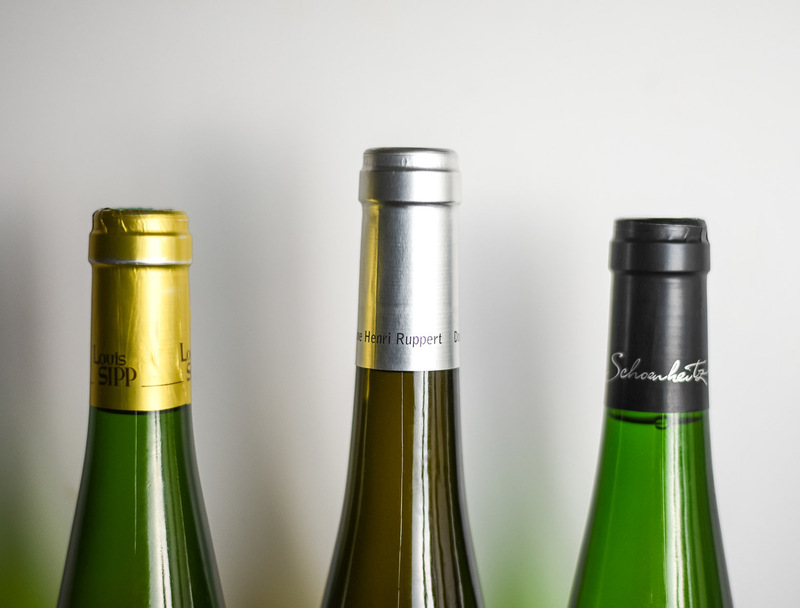 All of these wines can hang out with your turkey or tofurkey and not overpower the meal. Mix and match them with your dishes! Barbera: Italian red wine that is lighter and less robust than Barolo. A good choice for a classic red table wine that won’t overpower your meal. Good bottles are very affordable. Gamay: One of my favorite, easy drinking red wines because they’re tasty and won’t overwhelm your palate. Grown in Beaujolais, France. Like Barbera, you can get a nice bottle for a good price point. Zinfandel: Great choice if you’re looking for a fruity but soft red wine that isn’t too bold with its tannins. Pinot Noir: Probably the most classic wine pairing for Thanksgiving, it brings savory mushroom and forest floor flavors with ripe strawberries. Cabernet Franc: An herbaceous, medium-bodied red wine that won’t dominate the meal like a Cabernet Sauvignon could. As an added bonus, Cabernet Francs are also an affordable option. Look for the Chinon region in the Loire Valley, France. Tempranillo: I’m all about value and Spanish Tempranillo is a dependable place to find it. In Spain, wine is ranked by how long it’s aged, so looked for a bottle that says “Reserva” to enjoy 3 years of aging at minimum before it hits your glass. Sangiovese: What’s not to love about Sangiovese? It brings savory flavors of leather and olives to your table. Look for a Chianti Classico (80% Sangiovese) or a Brunello di Montalcino (100% Sangiovese). Merlot: The softer and more affordable Cabernet Sauvignon alternative. 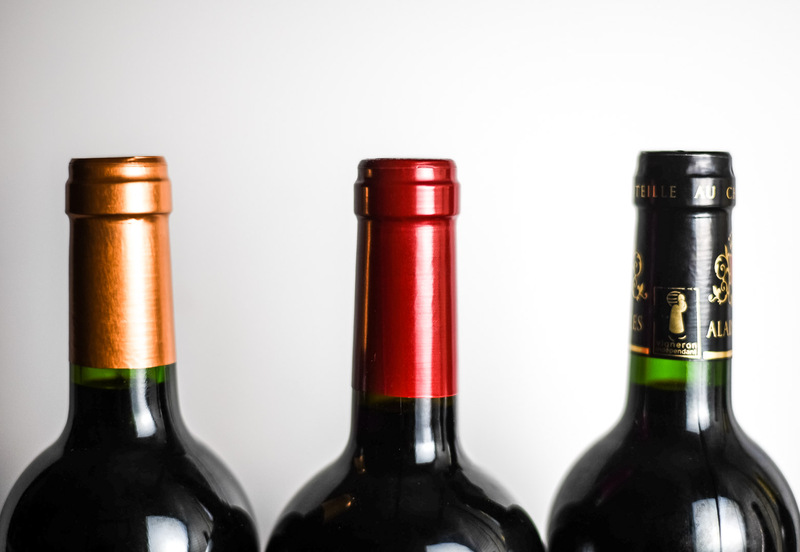 Keep an eye out for right bank Merlot-based Bordeaux blends for a holiday wine treat. Cabernet Sauvignon: If you want a classic Cabernet Sauvignon Blend, look across the river to the left bank in Bordeaux. A good bottle will cost you $30+ but you’ll be happy with what you’re drinking. For more budget friendly options, Chile and Argentina produce some lovely bottles of Cabernet Sauvignon. Prosecco: Prosecco is a light, fruity Italian sparkling wine. It’s less expensive than other sparkling wine because it’s made using the tank method which is more economical than the traditional method, like that used for Champagne. Cava: Cava is usually dry and fruity. It doesn’t contain the same biscuity-notes as its more heavily lees (yeast) aged counterpart, Champagne, so it’s a good bet for those who like fruity sparkling wines. Good value. Crémant: Crémant is the name for sparkling wine all French wine regions outside of Champagne. Crémant is a tasty alternatives to Champagne and is often produced from the same grape varietals. Champagne If want biscuits and bread flavors, Champagne is your best bet. Non-vintage champagnes are aged for a minimum of 15 months with 12 on lees (yeast), which creates the bready notes. Champagne as a region has done a fantastic job of marketing its wine as celebratory so you’re going to pay more for a bottle of Champagne than Prosecco, Cava, or Crémant. i’ve got a case of the holiday frazzles. just tell me what wine to choose. Get a nice bottle of Pinot Noir ($30+), unless of course, it is New Year’s Eve. Then reach for a good bottle of Champagne ($35+). Expect to pay for both but rest easy knowing you won’t be disappointed. Or, if you want to study wine more and really pick the perfect bottle, check out the full guide to pairing wine with vegan food. As you open your wine with friends and family this holiday season, know that I’m raising a glass to you from Texas, Oregon, and France. I’m excited to continue learning about wine through my holiday travels and bring my new knowledge back to you. Until then, cheers and have a wonderful holiday season!